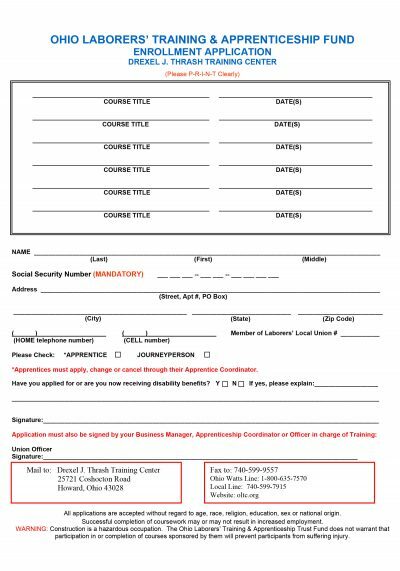 After being filled out, this application must be signed by a contractor or union official before it is sent or faxed to the Training Center. Applications without the proper signature will not be accepted. You can download the form, print it and fill it out with blue or black ink. You can also fill out the form by opening the document and typing in your information and then print it. For best results, use the Chrome browser so you can fill out the form online, otherwise you will need to view the document with a PDF viewer.